Electronics online shop is all about presentation. You have to present your products in the most preferable way and you have to assure your customers that you are a reliable company. And this is why you need a multifunctional and professionally developed website. In order to provide you with such website our developers created Sellphone Shopify template. It is a perfect choice for gadget store. 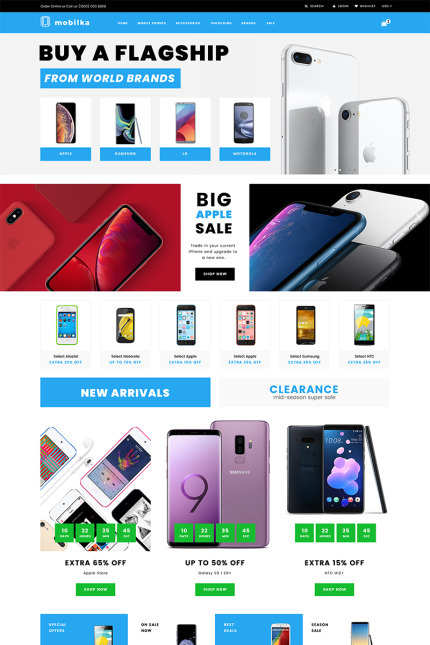 You can start a mobile phone store, computer parts store or you can sell all known devices at once. Sellphone has clear design that allows you to present your products and highlight all details. Moreover, you can decorate your online shop with included visual effects. It is a fully editable template and you can change it with simple drag and drop. You can blog or use social options to spread info and gather feedback. In addition, Sellphone has full Shopify e-commerce plugin pack.